Open IIS Manager and navigate to the level you want to manage, e.g. the website with KMP. In Features View, double-click Directory Browsing. 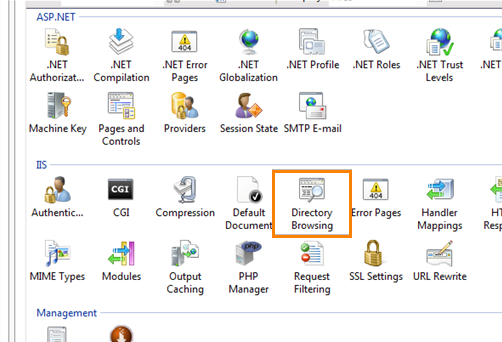 In the Actions pane, click Enable if the Directory Browsing feature is disabled and you want to enable it. Or, click Disable if the Directory Browsing feature is enabled and you want to disable it.